Understanding the effects of war on mental disorders is important for developing effective post-conflict recovery policies and programs. The current study uses cross-sectional, retrospectively reported data collected as part of the World Mental Health (WMH) Survey Initiative to examine the associations of being a civilian in a war zone/region of terror in World War II with a range of DSM-IV mental disorders. Adults (n = 3370) who lived in countries directly involved in World War II in Europe and Japan were administered structured diagnostic interviews of lifetime DSM-IV mental disorders. The associations of war-related traumas with subsequent disorder onset-persistence were assessed with discrete-time survival analysis (lifetime prevalence) and conditional logistic regression (12-month prevalence). Respondents who were civilians in a war zone/region of terror had higher lifetime risks than other respondents of major depressive disorder (MDD; OR 1.5, 95% CI 1.1, 1.9) and anxiety disorder (OR 1.5, 95% CI 1.1, 2.0). The association of war exposure with MDD was strongest in the early years after the war, whereas the association with anxiety disorders increased over time. Among lifetime cases, war exposure was associated with lower past year risk of anxiety disorders (OR 0.4, 95% CI 0.2, 0.7). Exposure to war in World War II was associated with higher lifetime risk of some mental disorders. 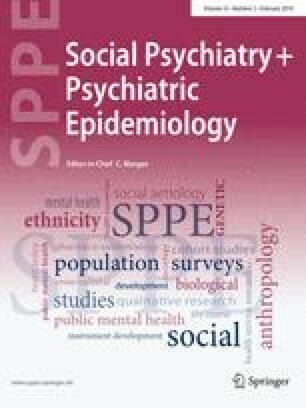 Whether comparable patterns will be found among civilians living through more recent wars remains to be seen, but should be recognized as a possibility by those projecting future needs for treatment of mental disorders. The members of the WHO World Mental Health Survey Collaborators are listed in acknowledgements. The WHO World Mental Health Survey collaborators are Sergio Aguilar-Gaxiola, MD, PhD, Ali Al-Hamzawi, MD, Mohammed Salih Al-Kaisy, MD, Jordi Alonso, MD, PhD, Laura Helena Andrade, MD, PhD, Corina Benjet, PhD, Guilherme Borges, ScD, Evelyn J. Bromet, PhD, Ronny Bruffaerts, PhD, Brendan Bunting, PhD, Jose Miguel Caldas de Almeida, MD, PhD, Graca Cardoso, MD, PhD, Alfredo H. Cia, MD, Somnath Chatterji, MD, Louisa Degenhardt, PhD, Giovanni de Girolamo, MD, Peter de Jonge, PhD, Koen Demyttenaere, MD, PhD, John Fayyad, MD, Silvia Florescu, MD, PhD, Oye Gureje, PhD, DSc, FRCPsych, Josep Maria Haro, MD, PhD, Yanling He, MD, Hristo Hinkov, MD, Chi-yi Hu, PhD, MD, Yueqin Huang, MD, MPH, PhD, Aimee Nasser Karam, PhD, Elie G. Karam, MD, Norito Kawakami, MD, DMSc, Ronald C. Kessler, PhD, Andrzej Kiejna, MD, PhD, Viviane Kovess-Masfety, MD, PhD, Sing Lee, MB,BS, Jean-Pierre Lepine, MD, Daphna Levinson, PhD, John McGrath, PhD, Maria Elena Medina-Mora, PhD, Jacek Moskalewicz, DrPH, Fernando Navarro-Mateu, MD, PhD, Beth-Ellen Pennell, MA, Marina Piazza, MPH, ScD, Jose Posada-Villa, MD, Kate M. Scott, PhD, Tim Slade, PhD, Juan Carlos Stagnaro, MD, PhD, Dan J. Stein, FRCPC, PhD, Margreet ten Have, PhD, Yolanda Torres, MPH, Dra.HC, Maria Carmen Viana, MD, PhD, Harvey Whiteford, PhD, David R. Williams, MPH, PhD, Bogdan Wojtyniak, ScD. The World Health Organization World Mental Health (WMH) Survey Initiative is supported by the National Institute of Mental Health (NIMH; R01 MH070884 and R01 MH093612-01), the John D. and Catherine T. MacArthur Foundation, the Pfizer Foundation, the US Public Health Service (R13-MH066849, R01-MH069864, and R01 DA016558), the Fogarty International Center (FIRCA R03-TW006481), the Pan American Health Organization, Eli Lilly and Company, Ortho-McNeil Pharmaceutical, Inc., GlaxoSmithKline, and Bristol-Myers Squibb. We thank the staff of the WMH Data Collection and Data Analysis Coordination Centres for assistance with instrumentation, fieldwork, and consultation on data analysis. The ESEMeD project is funded by the European Commission (Contracts QLG5-1999-01042; SANCO 2004123, and EAHC 20081308), the Piedmont Region (Italy), other local agencies and by an unrestricted educational grant from GlaxoSmithKline. The World Mental Health Japan (WMHJ) Survey is supported by the Grant for Research on Psychiatric and Neurological Diseases and Mental Health (H13-SHOGAI-023, H14-TOKUBETSU-026, H16-KOKORO-013, H25-SEISHIN-IPPAN-006) from the Japan Ministry of Health, Labour and Welfare. The Romania WMH study projects “Policies in Mental Health Area” and “National Study regarding Mental Health and Services Use” were carried out by National School of Public Health and Health Services Management (former National Institute for Research and Development in Health), with technical support of Metro Media Transilvania, the National Institute of Statistics-National Centre for Training in Statistics, SC. Cheyenne Services SRL, Statistics Netherlands and were funded by Ministry of Public Health (former Ministry of Health) with supplemental support of Eli Lilly Romania SRL. The Ukraine Comorbid Mental Disorders during Periods of Social Disruption (CMDPSD) study is funded by the US National Institute of Mental Health (RO1-MH61905). Dr. Stephen E. Gilman’s work was supported by the Intramural Research Program of the Eunice Kennedy Shriver National Institute of Child Health and Human Development. None of the funders had any role in the design, analysis, interpretation of results, or preparation of this paper. The views and opinions expressed in this report are those of the authors and should not be construed to represent the views of the World Health Organization, other sponsoring organizations, agencies, or governments. A complete list of all within-country and cross-national WMH publications can be found at http://www.hcp.med.harvard.edu/wmh/. In the past 3 years, Dr. Kessler received support for his epidemiological studies from Sanofi Aventis; was a consultant for Johnson & Johnson Wellness and Prevention, Shire, Takeda; and served on an advisory board for the Johnson & Johnson Services Inc. Lake Nona Life Project. Kessler is a co-owner of DataStat, Inc., a market research firm that carries out healthcare research.